Ni hao. I love food. Did you already know that about me? Just in case you didn’t, I love food. And since it’s so hard to travel and eat my around the world with a 3 and 1 year old in tow, I did the next best thing. 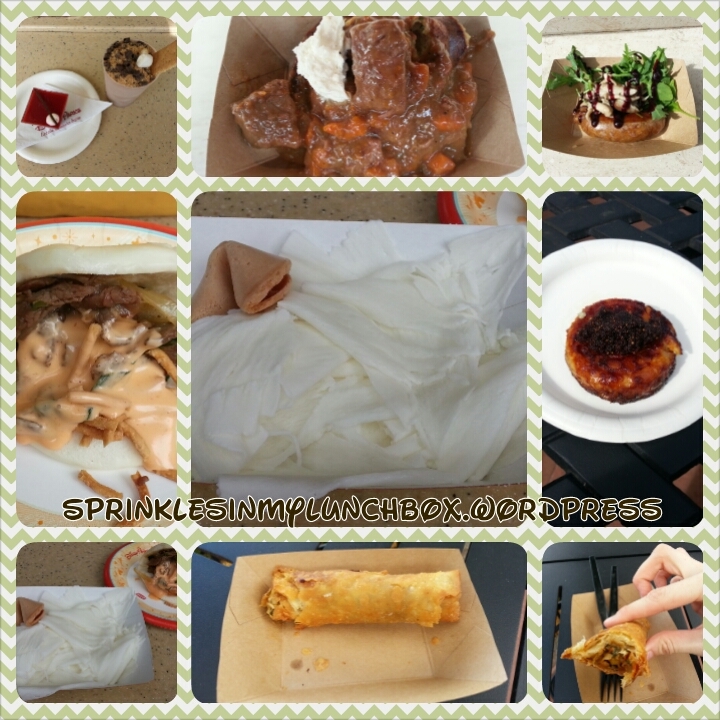 I went to an around-the-world-themed Food & Wine Festival with my family. It was a lovely day. I’d never done this before…it’s my (fig) jam now. I love it. I could have eaten something at all the represented countries there, but I AM on a budget. And I need to keep my girlish figure. BAH! Anyone who knows me, knows I’d rather eat than worry about ‘dat waist. In our “travels”, we ate Morello Cherry Pistachio Mousse and Frozen S’mores from the Desserts & Champagne booth (started with dessert…it’s been my personal philosophy since I was a wee one), a Potato & Leek Waffle with Braised Beef in Belgium, Venison Sausage with Pickled Mushrooms, Baby Arugula and Black Currant Reduction in New Zealand, a Harissa Chicken Roll in Morocco, Almond-crusted Blue Cheese Soufflé with Fig Jam at the Cheese booth, and in China, a Mongolian Beef in a Steamed Bun and Coconut Silk Ice Cream Ribbon. When my older son Bigs asked where we were going next, I told him (with gusto, I might add), “China!”. He replied with, “But I don’t wanna go to China!!”. He quickly changed his mind when he saw that we got ice cream there. 😀 Kid after my own heart. 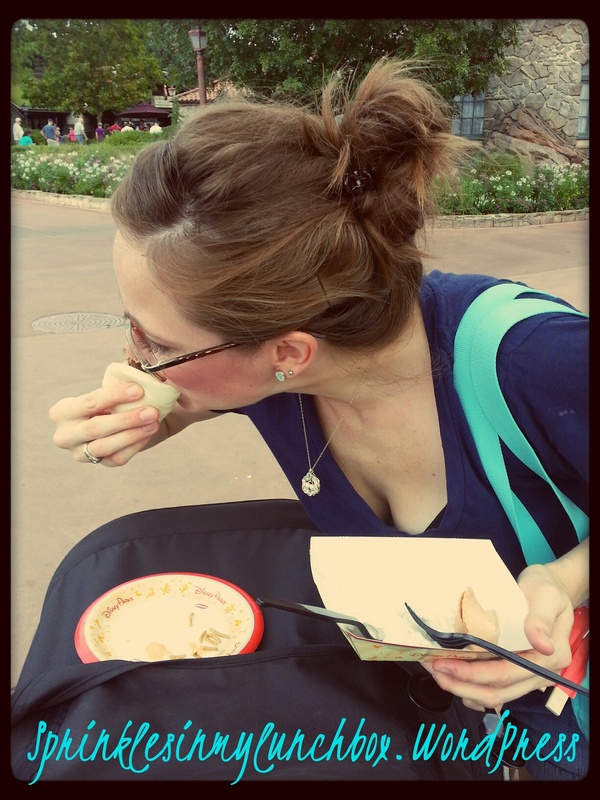 Here I am eating my Chinese Beef and Silk Ice Cream on top of my kids’ stroller. That’s how I roll. Well, I guess that’s how they roll…with me and my food on top. Food has been a huge part of the journey in finding myself. And on that journey, I’ve discovered just how much I love Asian desserts. Like, obsessed. It’s weird. I have always loved Chinese, Japanese and Thai food. But their desserts… I can’t even. So good. And my all time favorite of such desserts is the SESAME BALL. Tell me you’ve had them. It’s okay if you haven’t. More for me. They are balls glutinous rice and are rolled in sesame seeds and fried. And filled with sweetened bean paste. They are in my top 3 favorite foods. SO good. I get sesame balls on my birthday each year. These are some of the sesame balls I’ve gotten over the years. Each year, around my birthday, we make what I call my Asian grocery pilgrimage. 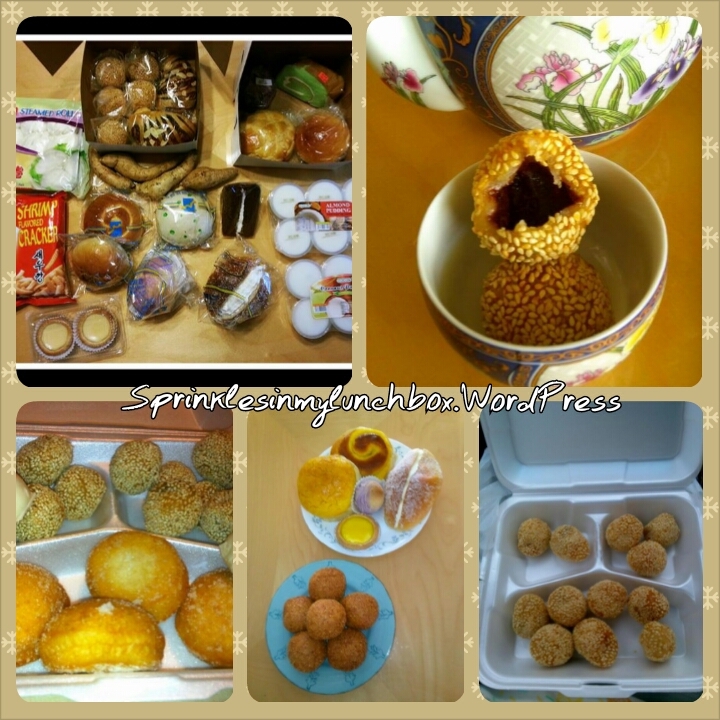 I pick up all kinds of yummy Asian treats – sesame balls, shrimp puffs, BBQ pork-filled steamed buns, purple yams, lychees, mochi, pineapple buns, coconut buns, egg tarts, taro buns. Oh, I could go on. I love it. My sweet husband knows what I want to do on my birthday and just let’s me go nuts. 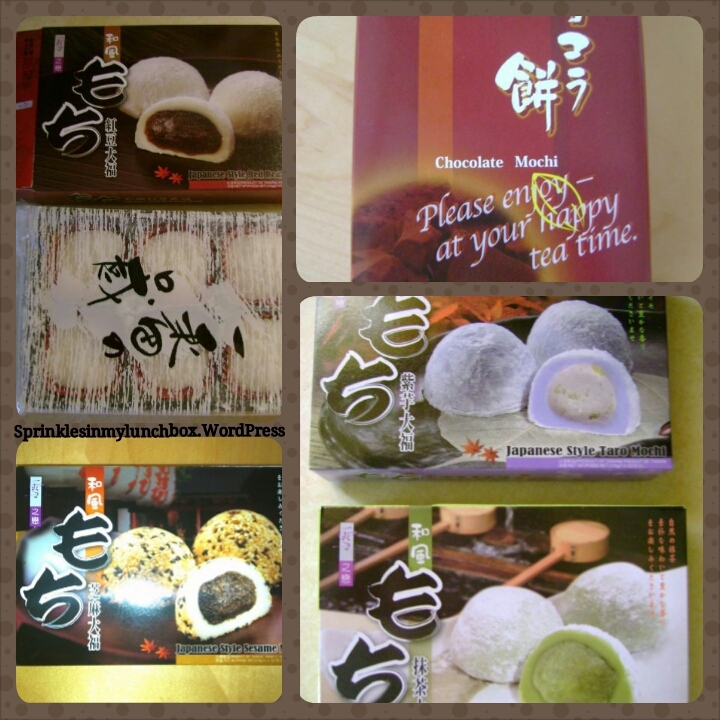 Mochi that I’ve gotten over the years. Other Asian treats I’ve gotten. 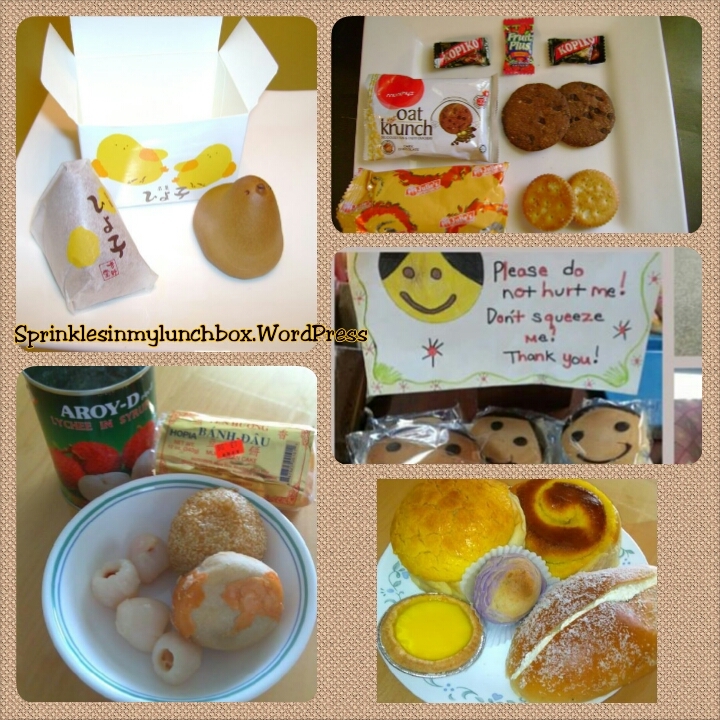 My Mom once had to travel to Malaysia and Japan for work and brought me all kinds of goodies. It’s sort of a strange attraction I have to the Asian sweets. They are so cute and always so well put together, not to mention delicious. What are some of your “odd” food obsessions? It’s a bear shaped PB&J that I sprayed gold(ish), using food safe spray. I used my Food Writers for the weird nose and mouth and candies for the [freaky] eyes. 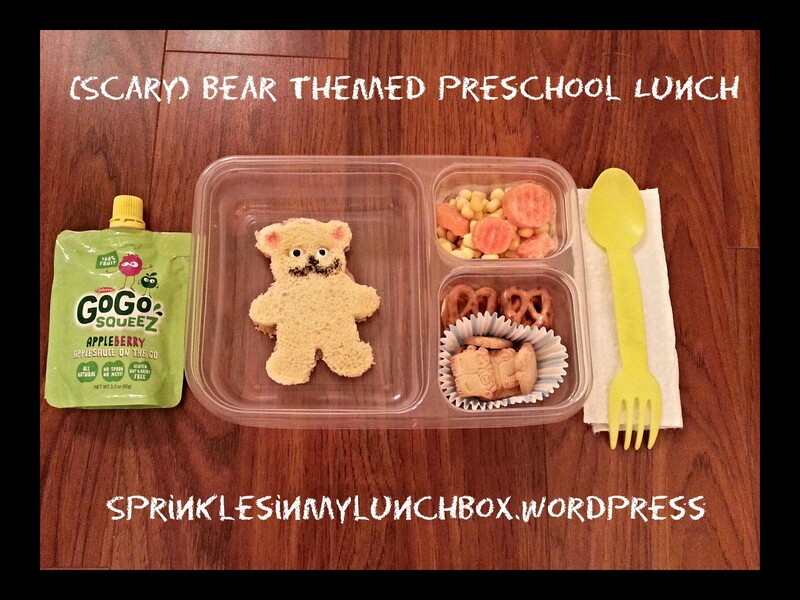 He also has corn and carrots, a few pretzels, some bear shaped cookies and a squeezy fruit. « Don’t you carrot all?? I think it’s the mustache that makes the bear weird. That IS a mustache, right?? It’s supposed to be his nose and mouth. Bigs didn’t mention it though.